It is widely assumed that bacterial resistance will be acquired when bacteria are exposed to long-term sublethal concentrations of antibiotics. 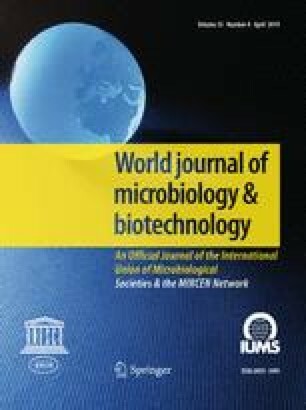 The objective of this study was to evaluate the ability of two bacterial strains [Lactobacillus plantarum (18A) and Lactobacillus paracasei (18C)] isolated from the fuel ethanol industry to acquire bacterial resistance during long-term (≥ 14 days) exposure to sublethal concentrations of penicillin G and virginiamycin. Neither strain acquired resistance to virginiamycin after 69 days of exposure, but both strains did acquire resistance to penicillin G after 18 days. Strain 18A appeared to acquire resistance to a penicillin G and virginiamycin mixture after 7 days of exposure, but the incubation period was not long enough to verify. These results indicate that antibiotic resistance in two common Lactobacillus strains does not develop from sublethal exposure to virginiamycin after 69 days of exposure, but resistance can be developed with sublethal exposure to penicillin G.
Phibro Ethanol Performance Group, Phibro Animal Health Corporation, Teaneck, NJ, United States of America.